This is from the Financial Times editor Lionel Barber. Sturgeon pledges #indyref2 by May 2021 - if UK leaves EU. Caveat important. No majority for Scottish independence right now, but #Brexit changes everything. Do Nigel Farage and @Jacob_Rees_Mogg care about territorial integrity of UK? Here is the Scottish government’s news release about Sturgeon’s announcement. Nigel Farage has returned to the seaside town where Ukip had its first MP elected five years ago, promising at a rally in Clacton that his new Brexit party will use the momentum of European elections to oust a “remain parliament”. Railing against a “political class” who he said had betrayed the people of Britain, Farage claimed to hundreds of supporters on Clacton pier that what was at stake was not just Brexit, but whether or not Britain was a democratic country. The UK’s Brexit debate has restarted after a 10-day break just as before, only with a new end date of 31 October. Brexiteers continue to press for the Irish backstop to be replaced with alternative arrangements, while the government and the Labour front bench seem to be making little progress in finding a consensus position. But once again, scant attention is being paid to the other side of the negotiating table. If we look more closely there, we find hardening attitudes across the EU to anything other than the UK leaving on the basis of the withdrawal agreement, regardless of the flaws that have seen this rejected three times by parliament. Just as with the Greek debt crisis, the EU now wants to see proposals adopted, direction set and to deal with the problems later. It may sound like an argument about technology, but in reality it is a battle of geopolitics. Should Brexit Britain yield to pressure from the US and ban Chinese hi-tech manufacturer Huawei from supplying kit to British mobile phone companies? Ending current session now could help May bring her deal back. But it would open a can of worms with her party, DUP and Queen’s speech. The post PM’s latest headache? Whether to extend Parliament session appeared first on InFacts. The British are celebrated for their ability to laugh at themselves. Which is good – because we’re not celebrated for much else at the moment. But even our talent for self-mockery is being strained. The cause is understandable: Westminster’s incompetence is so farcical it should be funny. But it’s not. We’re in danger of becoming a nation of dour, po-faced haters (and self-haters). So thank the lord for Manchester City fans. And as a Man United fan I never thought I’d hear myself say that. In these dark days it is the blue half of Manchester that is showing the rest of the country it is still possible to not take yourself too seriously. City learned the hard way. They endured 35 years of pain – not winning a single trophy while United swept up everything in front of them. And in that time they learned the invaluable lesson – it’s best to poke fun at yourself before others get the chance. On Easter Sunday, eight explosions killed more than 321 people in Sri Lanka, including 45 children, and left over 500 wounded. It was among the worst terrorist attacks worldwide since 9/11. The Sri Lankan government has been criticised for a serious security lapse before the suicide bombings, after it was alerted that the terrorist group National Thowheeth Jama’ath was planning to attack churches, but failed to take action against them or pass on the warning. Islamic State has claimed responsibility for the bombings, though as yet there is no evidence to back this up. Sri Lanka’s defence minister said it appeared the attacks were in retaliation for the recent mass shooting in Christchurch, New Zealand. Brexit talks resumed on Tuesday between a team of ministers and shadow ministers. But Labour sources said the government team again appeared unwilling to countenance changes to the political declaration, which sets out the UK’s future relationship with the EU. Elizabeth Denham told MPs her investigation into the Mainstream Network campaign group had raised concerns about how valuable voter data was being collected by the under-the-radar campaign, potentially in breach of data protection rules. Imagine that, for some reason, you want to lose an election. You need a vote-repellent campaign, something really unsupportable. You would probably form the Establishment party – passionately in favour of the system, cheering for the status quo. Your candidates would boast of their credentials as career politicians. Their slogan would be “business as usual”. This imaginary party is the perfect adversary, the most beatable thing in British politics – which is why real-life parties all want to run against it. Everyone claims to be the new politics and pins the despicable badge of oldness on their rivals. You’d have thought that if Theresa May was really serious about the UK not taking part in the European elections, she might have chosen not to spend the whole of last week on holiday. And that she might have been pushing ahead to get her deal through parliament sometime this week. Or next. Instead her team have been involved in ongoing half-hearted talks with Labour that everyone knows will inevitably end in deadlock. The most interesting development to emerge so far has been the varied sandwich menu. But the prime minister is a woman who likes to have a plan. Even if her plan is to have no plan. So the government is adamant there is no need for it to make any more than cursory arrangements for the elections due to take place in four weeks’ time. The Conservatives are the uncoiled spring. Poised to give the appearance of being taken by surprise. Not everyone is quite so convinced the elections won’t happen, which is why they have been using the time since article 50 was extended until October to prepare for them. [The executive] have to decide whether they wish to change the rules or not. I suspect quite a robust discussion will take place, because the executive represents all wings of the party. Eventually a motion will be put and that will be voted on. I am disappointed because it will change the nature of the event a great deal, for us the centre of the events was meant to be the veterans. It’s the 75th anniversary, this is probably the last time they will get together like this, the last time when they will meet the Queen, the last time the people of the city will be in a big event with them. International development minister Lord Bates has resigned from the government, forcing Theresa May into the latest of a long series of changes to her administration. As the Press Association reports, the Tory peer offered his resignation last year after turning up late for a parliamentary appearance, but it was refused by the Prime Minister. There was no immediate explanation for his decision to go now. A former Downing Street aide to David Cameron, Lady Sugg, has been appointed junior minister in the Department for International Development, moving from the Department for Transport. Her place at the DFT is taken by Lady Vere of Norbiton. Both continue to serve as whips in the House of Lords. The anti-Brexit party Change UK has launched its European elections campaign, revealing a slate of 70 candidates that includes Boris Johnson’s sister, seasoned politicians disillusioned with their parties, and people completely new to politics. Rachel Johnson said she was standing to make sure Brexit did not wreck the chances of a bright future for her children and other young people, and that her decision to stand was not an attack on her Brexiter brother. The 1922 Committee will meet later on Tuesday to discuss amending its rules, which currently state a leader cannot face a second no-confidence motion within a year of the previous one. Nigel Farage’s Brexit party has unveiled a former revolutionary communist who once supported Irish republicanism and opposed the Good Friday peace deal as one of five new candidates for the European elections. Claire Fox, who now styles herself as a libertarian and is a panellist on BBC Radio 4’s Moral Maze programme, told the launch event she most likely only agreed with Farage on one issue – Brexit. The post State visit is chance to remind Trump of EU’s role in peace appeared first on InFacts. The post 4 ways to stop Brexit if Tories oust May appeared first on InFacts. In the European elections, in just 31 days’ time, Britain faces a stark choice. Will we back Nigel Farage or stop him? To stop Farage, Labour must come out on top. This isn’t just a mathematical and presentational reality (no other opposition party is likely to outpoll him), it is also a political imperative. For to defeat Farage, it is essential that we not only outvote him but also overwhelm his hard-right Thatcherite ideology. Technology sometimes reminds you that the unpredictable is actually all too predictable. At its last extraordinary general meeting, the national executive for the Women’s Equality party finalised a snap general election strategy. Now I was emailing for the fifth time in as many months to request yet another EGM – the word extraordinary was beginning to lose all meaning. I began typing apprehensively, “I’m afraid it looks as though we are headed for …” – only for Gmail’s autocomplete function to suggest, without pause or irony, “another election”. Don’t get me wrong: the WE desperately wants to fight the European elections. And we will. The resurgence of far-right politics across Europe threatens women and minorities in ways the political establishment cannot begin to understand. The two largest political parties are tying themselves in knots in their attempts to take back control – of their own backbenches. Both the government and opposition will be asking voters to send their candidates to Europe in order to ensure that we leave. I am a fan of generation gaps. Though academics and the media love to identify new demographic cohorts – Generation X, Generation Z, Net Gen, Gen Wii – such distinctions often confuse mere fashion with decisive transformations in behaviour, social priority and worldview. But we need such transformations, the inter-generational arguments that they spawn, and the changes that, sooner or later, they compel upon us all. The post Overall pro-EU vote is best measure of election success appeared first on InFacts. The post Irish border could cost Brexiters their US trade fantasy appeared first on InFacts. The post Actually, there is time to put it to the people appeared first on InFacts. Welcome to the Guardian’s weekly Brexit briefing, trying to make sense of the nonsensical since June 2016. If you would like to receive this as a weekly email, please sign up here. And catch our monthly Brexit Means podcast here. After all that excitement, the briefing is taking a break and will be back on 30 April. The post Boris plan to heal country isn’t ‘serious analysis’ either appeared first on InFacts. The post Latest ruse to pass May’s deal? Just ignore all the bad bits appeared first on InFacts. This week, a six-hour debate among EU leaders concluded with Theresa May being offered a six-month extension to article 50. Britain will remain a member state of the EU until 31 October, with the option to leave earlier if the prime minister can secure House of Commons support for her Brexit deal. The former Ukip leader launched his new party on Friday, pledging there would be 'no more Mr Nice Guy'. Farage hit out at both the Conservative and Labour parties and said the two-party system was 'unfit for purpose', during his launch speech in Coventry, which was held days after Britain was granted a second Brexit delay. 'Our leaders are happy to continue down the path of managed decline. I genuinely believe right now, this nation, we are lions led by donkeys,' Farage said. The post Tories face European Parliament election nightmare appeared first on InFacts. The post Labour should embrace public vote pledge in EU elections appeared first on InFacts. In the short term, the party is prepared to continue talks with Theresa May to try to see whether a compromise can be found on the future relationship that both sides can support. Two key problems threaten the prospect of success: the prime minister’s almost non-existent authority, and whether it is ultimately ever going to be in Labour’s interests to do a deal with the Tories. The summit on Wednesday was off to promising start as Angela Merkel approached Theresa May to share something on her iPad. May burst out laughing with Merkel when she saw what was on the device: a photo montage of the two leaders speaking in their respective parliaments earlier that day. Both were wearing a jacket in the same vivid shade of blue – which could be described as EU flag blue. The European council president, Donald Tusk, and Luxembourg's prime minister, Xavier Bettel, were also amused. One of the council’s most senior officials smiled politely. After the EU granted a Brexit extension until 31 October, or sooner if Theresa May can get a deal through the Commons before then, we look at the embattled prime minister’s options. European commission president Jean-Claude Juncker says he regrets that 'we only talk about Brexit' at the expense of other EU achievements, as EU leaders announced they have given Theresa May a new Brexit deadline of 31 October, four months longer than the prime minister asked for. 'I read the European press this morning, and it was all Brexit, Brexit, Brexit,' Juncker says, but admits everything must be done to avoid a hard Brexit. Theresa May said she was still hopeful of reaching a deal by 22 May, avoiding the need to take part in European elections. European council president Jean-Claude Juncker said it was better to have 'a piece of something than all of nothing' and urged the UK not to 'waste this time'. Theresa May’s last rendezvous with European Union leaders in Brussels didn’t go well. Her performance was described as “awful dreadful [and] evasive”, while officials complained she didn’t have a plan. Nearly three weeks later the prime minister was back at the EU summit table with a very similar request: she wanted more time to find a Brexit compromise at home to avoid a damaging crash-out exit. The prime minister, Theresa May, released a video statement from 10 Downing Street on Sunday to warn that the UK parliament needs to pass a withdrawal deal in order to deliver Brexit. L4E secretary Andy Pye talks to his friend and former business colleague Chris Rand, who came down from Cambridge to experience his first London march for the People's Vote campaign. The campaign is now more than a protest. We are, as Mike Galsworthy says, building a community. A community which is based on a solid foundation, is here to stay and will sustain until the end of the Brexit episode. It is a community which can put comfortably over a million like-minded people onto the streets of London. A community which is based on a solid foundation, is here to stay and will sustain until the end of the Brexit episode. It is a community which can put comfortably over a million like-minded people onto the streets of London. How extraordinary that as many as 1 in 40 of the entire population of the UK took time off to visit London and protest - just think of what that means. Join us on the march for a People’s Vote on the 23 March in central London and show again that the will of the people is now to get a vote on the final Brexit deal. History is unfolding in front of our eyes, dizzyingly fast and with all the votes, amendments and amended amendments it can be easy to lose track of where we are and the fact remaining is still possible. This last week in Parliament, through all of the twists and turns of voices and votes lost, a couple of things are clear. London4Europe Committee member Michael Romberg sets out the case. The harms of Brexit are real but we have a positive case to argue for. Economic prosperity is important but still just a means to an end. Leavers are right in this: the EU is a political project; the issues that matter are sovereignty, democracy, freedom, sense of community with particular reference to freedom of movement, sense of national identity. Charles Parselle reviews the government’s latest defeat and asks what will it take for MPs, so confident in their own ability to vote and vote again, to trust the electorate on whose behalf they supposedly hold their positions. Hundreds of thousands of people marched in London last October for a People’s Vote on the final deal for Brexit. It was the biggest march since the anti-war protest in 2003 and sent a powerful message to our politicians here and in the rest of Europe that there is huge support for another vote. It was a beautiful, sunny day and everyone was good natured and friendly. I have been on every march since the referendum and it was the only one when due to the sheer scale of numbers that I arrived in Parliament Square long after the speeches had finished. There were people from all walks of life and from every corner of the country and many families with young children who will never enjoy the rights and privileges I have been fortunate enough to enjoy and benefit from for almost my whole adult life, if Brexit goes ahead. The Put it to the People march planned for 23rd March is so important. Tell everyone about it. It will only be six days before the UK is currently due to leave the European Union and it is a matter of urgency that as many people as possible come. It may be our last chance. We know far more now about the damaging consequences of Brexit than we did almost three years ago and those consequences will be with us for generations to come. There is too much to lose and it is still not too late. If you want to attend the People's Vote March, click here to sign up. Maggy is a supporter and volunteer for European Movement and the People's Vote campaign. Under the single market with freedom of movement British citizens may easily establish businesses in other EU countries. Our correspondent, Penny Howard, did just that. She set up Beyondtheyelladog as a company providing tourists with artistic and cultural experiences to enable them to deepen their experience of Italy. Brexit threatens the feasibility of such businesses. Penny Howard's business is now facing closure. Following the vote for Britain to leave the European Union the future of the European Structural and Investment Funds programme has been called into question. These programmes total 17.2billion Euros from 2014 to 2020 and provide funds to support schemes that help local areas to grow in disadvantaged areas in Britain. There are over 1,000 individual schemes. I sympathise. I really really do. London4Europe Committee member Michael Romberg whole-heartedly agrees with the public’s main demand for Brexit. But it is Remain that delivers, not any of the Brexits on offer. The biggest desire of the British people is not to take back control or to have peace in Europe. It is that the whole question of Brexit should just go away. I sympathise. It is what I really really want. But neither the Government’s nor the public’s methods for ending the Brexit debate work. Here’s why. London4Europe Committee member and former HM Treasury senior civil servant Michael Romberg reminds us of the core case for a referendum. The case for a referendum is very simple. In 2016 Leave had no plan. As we have been told, there is "a special place in hell ... for those who promised Brexit without even a sketch of a plan for carrying it out safely". No doubt every Leave voter knew what they wanted. None knew what they would get. No-one in 2016 promised any of the three possible Brexits: a May/Corbyn deal, No-deal or a revived May deal. 2016 was a vote on an idea. No-one takes a project from idea to implementation without reviewing the plan. The same people as approved the exploration of the idea should vote on whether they like the plan. That is honourable fair and democratic. Sure, people were told there would be just one shot. But that only made sense if Leave had a plan. They didn't. Critics will claim that protesting is an outdated habit that people have taken on through centuries to make themselves feel useful and in the right even though it doesn’t achieve change. One may or may not agree. However, on top of making one feel exemplary, marching for a People’s Vote or protesting is a great way for a citizen to exercise his or her democratic right of freedom of expression for a cause they believe in. On the 20th of October 2018, over 700.000 protesters claimed the streets of London, voicing their opposition to Brexit and seeking a People’s vote on the final Brexit deal. It was one of the biggest mass mobilisations of its kind in the UK. The people marched not just to feel virtuous but because so much is at stake for them and because Brexit will have a detrimental effect on their lives. The march increased the legitimacy of the issue, social media visibility was over the roof, the message spread all across the UK and the world and many politicians made statements acknowledging the importance of the event. In October 2018 700,000 people like you took part in one of the largest marches ever staged in London to demand a People’s Vote. Since then it has become clear that more and more people who voted Leave in 2016 are now aware of the true reality of what leaving the Euopean Union will mean to them and future generations. Parliament is divided and based on what we now know about the consequences for the UK, the chances of a People’s Vote are higher than ever before so we need to march again to reinforce the message that the country should be given the opportunity to decide once and for all whether to leave or remain in the EU. Please join us as you could be one of those people who played a part in changing the course of our history by demanding a People’s Vote. See you in London on 23rd March at 12pm. European Movement member Paula Welch wrote the following account of a recent dinner Eastbourne European Movement held. Professor Roger Eatwell, University of Bath was the speaker at our January dinner held at the Hydro Hotel and attended by over 70 members and their guests. His talk centred on his latest book about national populism, a movement that in the early years of the 21st Century is increasingly challenging mainstream politics in the West. He explained that national populism is not simply a passing protest but reflects views deeply held by many in the electorate who feel they have been neglected even held in contempt by distant mainstream elites. He and co-author Prof Matthew Goodwin had decided to write the book amid two moments that had shocked the West and few pundits saw coming: when Donald Trump was elected President and when British voters stunned the world by voting for Brexit. This piece was sent in by George Stevenson. At the level of countries or societies, freedom from an overbearing ruler, and having control over your own affairs, is a recurring theme. From ‘no taxation without representation’ prior to the American War of Independence, through the French Revolution, the emergence of new countries from the Austro-Hungarian empire in 1918, the dismantling of the European empires in the years after the Second World War, to the collapse of communism in Central & Eastern Europe in 1989, self-determination for a people or a country has been a powerful, siren image. So we shouldn’t dismiss this as an argument for Leave voters. Even pointing out that it’s the quality of government that’s important, not whether or not we have ‘full ‘control’ probably won’t cut much ice. Our parents are (mostly) benign, and want what’s best for us, but that doesn’t prevent us from sometimes resenting what they’re telling us to do. The emphasis on avoiding No-deal and on extending the Article 50 time-table presents Theresa May with a clear opportunity to outfox us. 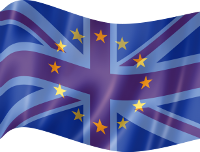 We have to focus on the referendum, writes London4Europe Committee member Michael Romberg. Active Remainers – like me – are often told that we ‘never accepted the (2016) Referendum result,’ as though this were a defect, a sin, even a crime. Well, first of all, it depends what’s actually being alleged of us. ‘Never accepted the Referendum result’ … as what, exactly? As the numerical outcome of the vote? Well in that sense, yes, obviously, we do accept it. As the outpouring of frustration, anger at being neglected, at feeling marginalised or even silenced? Yes, certainly. As the seizing by many of an apparently rare opportunity to make known their feelings? Well, apparently, yes. As an informed view of where lay the real causes of that neglect and marginalisation? No, not for a second. As an informed judgement on the actual impact upon their lives of European Union policy, legislation, regulation and investment? It is generally accepted that there is a housing crisis in Britain. A cross party review has concluded that Britain needs three million more social homes. Housing associations are charged with meeting the need for affordable housing by building new homes. These are funded through government grants, loans that are funded from surpluses and cross-subsidy from activities such as selling houses at market value. Housing associations also need to keep their expenditure within what can be afforded given the rents that they collect. The European Union has never involved itself in housing policy and there are no European regulations affecting housing in Britain or any other member state. The UK government makes housing policy in England and it is a devolved responsibility in Northern Ireland, Scotland and Wales. However, the impact that Brexit will have on housing associations and their ability to provide affordable homes will be negative and significant in all parts of Britain. “Government support for associations (through grants) ... could also decline if the public finances are stretched as the government attempts to mitigate the broader impacts of... Brexit. Lower credit ratings would make it more difficult for housing associations to raise loans and would increase the interest rates at which they could borrow. Many housing associations are borrowing extensively in advance of Brexit to mitigate the risk of not being able to borrow afterwards. The construction industry is dependent on imported components and labour. The UK imports £10billion of construction materials a year and the proportion of construction workers from outside the UK is 20% nationally and 56% in London. A falling pound, tariff and other barriers at ports and the ending of Free Movement is likely to result in increased construction prices and shortages of materials and labour. My home town is what you might call a singular place. I don’t think there’s anywhere else in the UK quite like it. Geographically in England, but culturally, ethnically, spiritually, it’s a Celtic and a world city. Because of our port history, our roots extend to the four corners of the world. We are first and foremost Scousers, true internationalists, our identities not limited to the borders of one country. Not surprisingly, then, Liverpool voted to remain in the EU. We also have a strong radical political tradition here. We have taken enough blows from successive governments, and we know when another one is on the horizon, and let’s call out Brexit for what it is: the brainchild of the right wing of the Tory Party. It is not an anti-establishment uprising. Rees-Mogg, Johnson, Farage, Banks? Anti-establishment? Do me a favour. Brexit is the long-term plan of a group of rich white men, for whom internationalism of the sort the EU embodies is anathema. It is part of a broader plan to reduce the UK to a deregulated, low wage, Western version of Singapore. It will make us all poorer, in many ways, and it will hit the poorest worst of all. Here in Liverpool, we’re not going to take that. For me, the EU is about much more than economics, even though this too is important. The foundations of the EU were laid after the war, at a time of destruction, chaos, forced mass migrations, revolutions, civil wars, retribution and starvation. Leaders at the time realised that Europe needed to come together to end centuries of war by building cooperation, at first through trade and economic prosperity. This made Europe the most stable and rich it had ever been, raising living standards for hundreds of millions of people. I remember when we joined the Common Market in 1973, the UK was a weaker, poorer country than its neighbours; since then we have caught up and have been able to contribute - for example, by leading the drive towards the single market and free movement that Brexiteers now want to abandon. By 1990, the EU was crucial in supporting former Communist countries in Eastern Europe as they democratised and I have discovered recently how much the EU backed peace in Ireland too when the Good Friday Agreement was signed in 1997. This work involved more than trade and economics.